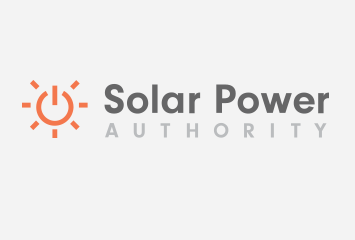 Note, this article was previously published at https://www.solarpowerauthority.com/home-solar/fl/ that article has been updated and refocused, visit the page to learn more or read on for older resources. In December 2005, Governor Jeb Bush put Florida on board for new laws regarding renewable energy and solar power. The Act was signed after collaboration of energy experts, environmental activists, and industry leaders. The Act became officially active in 2006, and it is known as the 2006 Florida Energy Plan. Attempting to give Florida residents a better reason to contribute to an environmental movement, the Act provides home owners with tax incentives for refunds and advantages for using better energy efficient techniques. Solar energy and tax rebates provide two comprehensive incentives for home owners who convert standard energy sources to solar domestic hot water and solar electric systems. The Florida Renewable Energy Association lists the federal and state wide incentives for tax payers to take advantage of the new laws and provisions made for environmentally friendly home owners. The Florida Solar Rebate program provides up to a $500.00 rebate program for home owners who install solar hot water systems in the home. In addition to home owners, there are also rebates and incentives for business and nonprofit organizations. The Federal Government also provides a range of incentives to conserve energy and help reform environment degradation. The Energy Act of 2005 gives tax payers up to a 30% rebate incentive on installation and equipment for solar electric or solar domestic hot water system. The incentive does not allow in excess of $2,000.00. In July of 2008, the state had approved the construction of the largest solar power facility in the United States. The move was made to push Florida into the recent “go green” initiatives throughout the country. Three large solar plants will be constructed in the middle of the state in Martin County. Miami has put forth an initiative to become more energy efficient. The big city has instituted some rebates for home owners to attempt to lower emissions and inefficient energy use. Home owners who install a High-Efficiency Clothes Washer are eligible for up to $150 rebate from the city. In 2005, Miami also enacted an incentive for city builders to install energy efficient solar power panels in new buildings. This article originally appeared on Solar Power Authority. The incentive is for contractors who apply for permits for building improvements. The city promises to expedite permits submitted for commercial or residential improvements that are environmentally friendly. To keep up with growing trends, the Miami-Ft. Lauderdale area just opened its first solar power commercial building in January 2009. The solar powered building was constructed with the idea that taking advantage of tax rebates could save the owners up to $100,000 per year or $4 per kilowatt of energy. Tampa has derived incentives through the city electric company, Tampa Electric. The company has provided rebates up to $30.00 per ton or $0.0025 per Btu. The incentive is for any home owner who decides to install equipment that meets Tampa Electric’s energy efficient standards. Tampa Electric also offers incentives for businesses that install commercial units that lower energy usage during peak hours through their Commercial Load Management Program. OUC has a variety of rebates and incentives for home improvements that create a better energy efficient home. Incentives include up to $100.00 in rebates to install better installation in attics. Solar panels are also given incentives for rebates up to $75.00. The highest rebate also gives back $300 for home owners who install more energy efficient heat pumps. In addition to rebates, the Orlando Utilities Commission also offers loans for home owners who wish to install solar panels. Depending on the system, customers may borrow amounts up to $15,000 to improve home energy usage through solar power. The Orlando Utilities Commission has also introduced the Pilot Solar Program that offers to buy back credits from consumers who have installed solar panels. Incentive payments are equal to $0.05/kWh for PV and $0.03/kWh for solar water heating (SWH) systems. The payment credits show on customer utility statements monthly. Jacksonville’s energy supplier also offers businesses a way to receive energy rebates that help businesses better their community energy usage. Incentives are better for customers who use local vendors. Home owners can receive up to $800 in rebates using a local vendor, and businesses can gain up to 30% of the cost to install solar heating but no more than $5,000.00. Jacksonville also offers owners of broken water heaters to upgrade to better efficient heaters and restore currently broken units. Owners of broken units can save up to $500 in rebates for repairs. Solar energy brings high incentive rewards for Jacksonville residents. The city offers up to $800 to install solar power heating systems in the home. This offer is in addition to the thirty percent break from the federal government. Jacksonville has also analyzed cost and found that use of solar power products pay for themselves in five years after installation. The City of Tallahassee Utilities also offers a wide range of incentives. The city offers rebates for home owners who purchase Energy-Star plug-in appliances. Large appliances such as refrigerators, freezers and clothes washers that meet energy efficient standards and have been purchases after February 20, 2008 can be reimbursed up to $100 depending on the unit. The city also offers a huge savings to those who decide to install more efficient insulation. Several standards are required depending on the nature of heating. Each standard offers rebates if installation meets city requirements. For those who need financing for solar energy products, Tallahassee offers small loans with as low as 5% rates. The city provides consumers with loans of up to $20,000 to help finance more energy efficient systems in the home. They provide consumers with a loan handbook for all products that are eligible for these incentives. The Florida Energy Education Center offers programs to help consumers learn about the importance of energy efficiency. It hosts events and courses for helping the environment and providing users with the knowledge of solar power. n be found at http://www.homepower.com/home. Several businesses provide solar power installations and education for home owners who are interested in converting their energy units. Below is a list of providers who can help home owners decide which unit is best for each individual home.